In this post we examine five of the best-selling Acer monitors. Today, almost all computer monitors are considered high definition, but what exactly does that mean? While there's no precise definition of HD, most people agree that monitors as low as 720p classify as high definition. Most computer monitors you'll find are at least 1080p, which means they have a resolution of 1920 pixels x 1080 pixels. Although there's more to it, the simple explanation is that more pixels means better picture quality (Source). Most common Acer computer monitors are LCD panels, which means they're made from a liquid crystal material that's sandwiched between to pieces of glass. Light passes through the glass and the crystals respond to electrical currents, which enable them to allow colored light to pass through. The benefit of these over CRT monitors (hardly used anymore) is that they're thin, light, power efficient and inexpensive. It's also easy to make very large panels for little money, which is tough to do with CRT (Source). The general consensus among buyers is to get the largest monitor you can for the money. Most people say you will never getting a monitor that's too big, but you'll always regret getting one that's too small. Also, being able to easily adjust the tilt is important, so look for a monitor that gives you ample room to tilt and adjust the base. Lastly, gamers should be on the lookout for a monitor that has a latency of 5 milliseconds or less (Source). Of all the HD Acer computer monitors we looked at, the Acer G246HL gaming monitor is the largest, topping out at 24 inches. It features an LED backlight, is full HD and represents great performance for the price. The downside is that you need a screwdriver to adjust the tilt. The next size down is the Acer R240HY, which comes in at 23.8 inches. This monitor is full HD and features an ultra-thin bezel with great viewing angles. The LED backlight doesn't bleed and is an all around sharp display. The Acer G226HQL desktop monitor is a 21.5 inch budget option. It's full HD, but offers no HDMI port and users say the black level can be a bit muddy. Also, users complain of light bleeding, which some viewers find annoying. This monitor would make for a great second monitor in dual display setup. Next is the Acer S220HQL, which is also 21.5 inch. It's full HD, thin, light and sturdy on the base which can be easily adjusted. It's bright and vibrant and buyers say it's a great value for the price. Last up is the Acer R221Q 21.5 inch. It features full HD, has small bezels, no backlight bleeding, a no glare screen, DVI, VGA and HDMI ports. If you’re looking for a top-rated widescreen monitor, you might want to consider the Acer monitor R240HY. Users love the image quality of this Acer monitor, but some do complain of its durability. This product is a23.8″ wide viewing IPS display with 1920 x 1080 resolution which, it is claimed,shows every detail clearly and vividly without color difference from any viewing angle. Thanks to its ergonomic tilt feature (from -5° to 15°), you can choose the best sight line for media enjoyment. It supports VGA, DVI and HDMI inputs and it features zero frame design. This item might be a good choice if you want an energy-friendly PC monitor that protects you from eye-straining blue light. 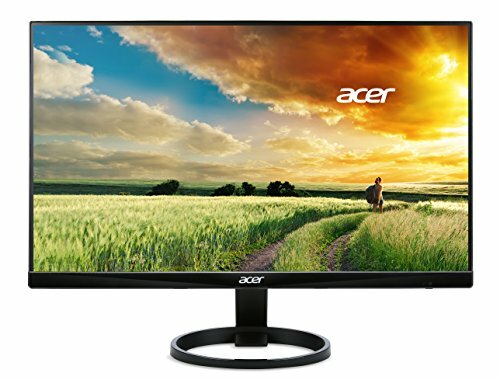 In general, buyers have a very favorable opinion of the Acer monitor R240HY.They agree that it has great image quality, nice brightness and color. Users appreciate that it has a very stable and sturdy base. Most of the online reviewers state that the monitor doesn’t have back light bleeding. However, several purchasers do complain of back light bleeding. Some complain that their item stopped working after several months. If you are looking for an Acer monitor, you might want to consider the G226HQL model.Users like the vivid colors, but some do complain of the bad viewing angle and washed-out colors. This product is an Acer G-Series monitor which features a super-slim profile with an X-shaped stand that lets it fit nicely in spaces of any size. The manufacturer states that you can enjoy widely available 16:9 HD digital content with this 21.5″ widescreen LCD with 1920 x 1080 resolution without image distortion. It also boasts that the rapid 5ms response time feature reduces deviations in transition time and thus delivers high-quality moving images. This item could be a solid choice if eco-friendliness and sleek design are what you’re looking for in a monitor. In general, users state that the Acer monitor G226HQL meets their expectations.They agree that it has bright and vivid colors, as well as that it doesn’t hurt eyes. Users like that the monitor is very thin. However, some do complain about the lack of color consistency and washed-out colors. As one buyer explains, a bad viewing angle combined with a short stand makes it not possible to get the full benefit of a color display since everything looks faded. Some users state that they experienced severe brightness/gamma problems. The Acer monitor G246HL is a solid option if you want to bring amazing multimedia experience to your home with a widescreen cinematic view. Users love the richness and brightness of colors, but some complain about the lack of height adjustment. This product is a G-Series LED widescreen Acer monitor. It features a sleek design and a remarkable 100 Million:1 contrast ratio. The monitor also supports both VGA and DVI-D inputs. It comes in 7 sizes: 19.5’’ (G206HQL), 21.5’’ (G227HQL), 23’’ (G236HL), 23.8’’ (G247HYL), 24’’ (G246HL), 25’’ (G257HU) and 27’’ (G277HL). This item might be a solid choice if you want a monitor that features a lot of smart connections. The general user consensus concerning the Acer monitor G246HL is that it has a very bright and rich display. Many buyers appreciate its vibrant and crisp colors, as well as a very nice contrast. However, there are complaints regarding the lack of height adjustment, as well as the stand which is somewhat wobbly. The Acer monitor S220HQL could be a solid option if you want to enjoy High-Definition entertainment in the comfort of your home.Users like the lightness and sturdiness of this monitor, but there are complaints regarding the bad sounding. This LCD Acer monitor with LED-backlit display combines stylish ultra-thin functionality with 1920 x 1080 resolution. It features dual inputs (VGA and DVI), a Kensington lock slot, and Energy Star compliance. As the manufacturer claims, it also features 100,000,000:1 contrast ratio and rapid 5ms response time. You can choose between two models: 21.5’’(S220HQL)and 24’’ (S241HL) widescreen. This product might be a solid choice for those who have limited space to work with. In general, users have a good opinion of the Acer monitor S220HQL and they conclude that it is very thin and light, but sturdy. Many buyers appreciate that you can tilt the screen to adjust the viewing angle. Users share that the picture quality is crystal clear and that the colors are bright and vibrant. However, there are complaints regarding the bad sounding and the lack of indications for buttons that are on the bottom of the monitor. 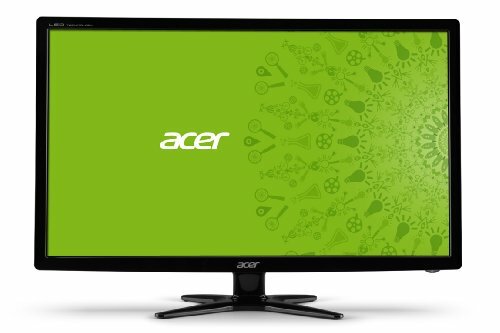 The Acer monitor R221Q is a solid option for someone who wants a zero frame monitor. Users like the sharpness of the picture, but some complain about the bad viewing angle. This product is a Full HD IPS Widescreen with 1920 x 1080 resolution. 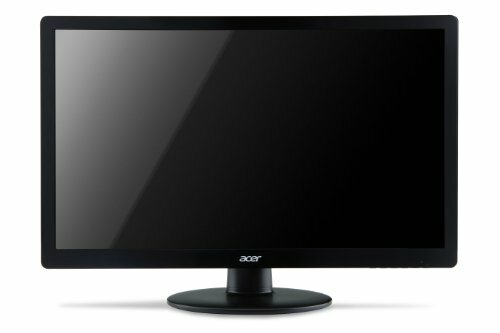 It features 4ms response time and several signal inputs: one HDMI, one DVI (w/HDCP) and one VGA.As all R Series Acer monitors, this one is also said to be kind on your eyes thanks to a built-in blue-light filter, flicker-less technology and Acer Comfy View technology (reduces screen glare). It is available as a 21.5’’ (R221Q) and 27’’ (R271) model. This item seems like a solid choice if you are looking for a monitor that will show every detail clearly and vividly without color difference from any viewing angle. The general user consensus concerning the Acer monitor R221Qis that it has a sharp and crisp picture. They agree that it is super thin and sleek, as well as that the colors are bright, clear and vibrant. However, some buyers complain about the bad viewing angle. Another complaint concerns the lack of VESA input. 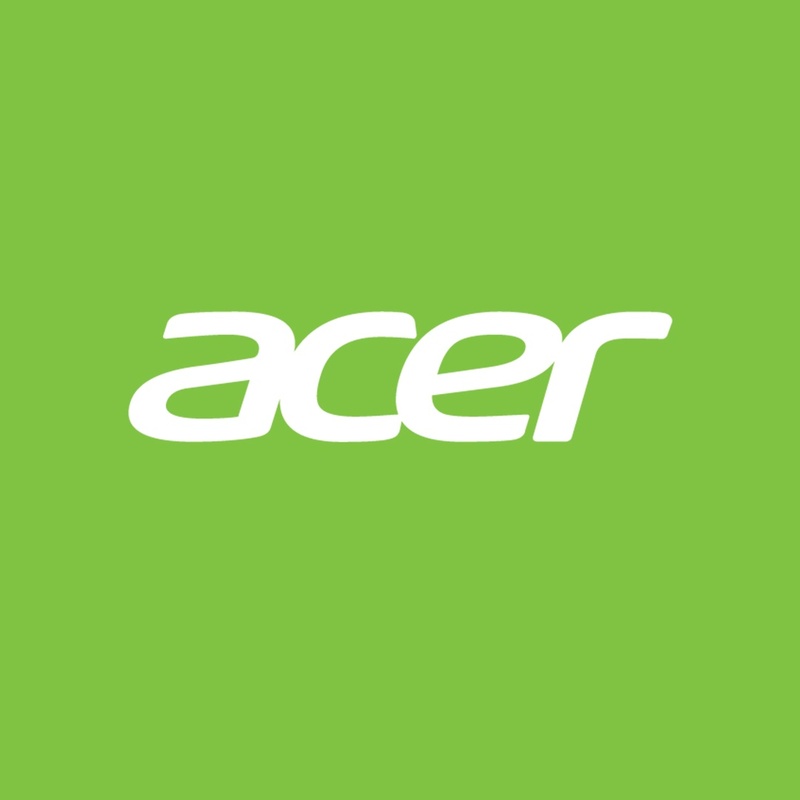 Acer Inc. is a multinational organization that is based in Taiwan. It is a large hardware and electronics corporation that specializes in the fields of advanced electronics technology. The headquarters for Acer Inc. are in Xizhi, in the city of New Taipei in Taiwan. Acer produces a lot of electronic products, such as desktop PCs, laptops (which can be further split into the categories of convertible laptops and the Chromebook), servers, storage devices, virtual reality devices, tablets, smartphones, displays and various kinds of electronic peripherals. Acer also has a sub brand called 'Predator' which are gearing towards computer gaming. In the early 2000s, Acer changed their business model and instead of being just a manufacturer of electronic items, they also decided to start designing, marketing and distributing their products themselves, while working with contract manufacturers at the same time. In 2015, Acer came in at sixth place in being the largest personal computer vendor all around the world. In addition to the core IT products that Acer develops, Acer has also developed a new business branch that focuses on the integration of various platforms and cloud services. They have also begun to develop smartphones and wearable gadgets with value added IoT applications. Acer Inc was founded in 1976 by Stan Shih, his wife Carolyn Yeh and five other people and the name of their initial business was Multitech. It was headquartered in the city of Hsinchu in Taiwan. They started off with just eleven employees and a total capital of $25,000. At the start, they mainly acted as distributors for various electronic parts and acted as consultants for people working in microprocessor technologies. They produced the Micro-Professor MPF-I training kit, and then also developed two Apple II clones, namely; the Microprofessor II and Microprofessor III. After that, they merged with the emerging company known as IBM, which specialized in making Personal Computers. This led to them becoming a major manufacturer of PCs. In 1987, the company changed its name to 'Acer'. Acer was further reorganized in 1998 when it was split into five groups. These groups are; Acer International Service Group, Acer Semiconductor Group, Acer Information Products Group, Acer Sertek Service Group and Acer Peripherals Group. In order to avoid complaints from clients about poor performance of their personal computers, Acer began to compete with their own products and kept developing better and better products. In 2000, the company restructured its contract business, renaming it as the 'Wistron Corporation'. This restructuring led to the formation of two primary departments, namely, contract manufacturing and brand name sales. In 2001, the company stopped using its manufacturing units, BenQ and Wistron, in order to put more focus on design and sales. With the help of these strategies, Acer increased the worldwide sales of its products while also reducing the number of their employees by identifying major problems and using good marketing techniques to best fit their already existing channels of distribution. By the year 2005, Acer had a total of only 7,800 employees all around the world. Their revenues rose from US $4.9 billion in 2003 to US $11.31 billion by 2006. The North American market share of Acer has decreased in recent years, yet their European market share has increased a lot. In the mid-2000s, notebook computers were the main driving force for growth in the PC industry. In this context, Acer was able to excel with their low overhead costs and the dedication to their distribution channels and this made them into one of the few companies that benefited a lot from the notebook trend. The quick rise of Acer in Europe was due to their acceptance of more traditional distribution channels that directly targeted retail consumers while at the same time their competitors were trying to rely on online sales and online business customers. In 2007, Acer bought the company 'Gateway' in the US and 'Packard Bell' in Europe and this shot them to third position in the world for providing computers and second place for making notebooks. This led to a great increase in their profitability. Ever since then, Acer has been trying to become the world's top PC vendor, with the hope that this goal can help them acquire economy of sale and also result in higher profit margins. However, this led to the exposure of the fact that Acer relied more on high quantity but low quality PCs, and people's buying habits changed. The first thing you need to ask yourself before buying an Acer monitor is to ask what purpose you need it for exactly. Once you've answered that question, it will be easy to find an Acer monitor that is perfect for you. Some monitors are multipurpose, which means they can provide high quality display and performance for everyday computer use, such as video streaming, videoconferencing, gaming etc. An LED or IPS monitor with Full HD resolution is great for this kind of multipurpose use. 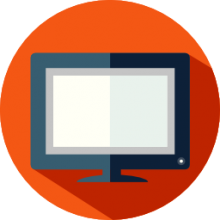 If you go for a larger monitor (27 inches and above) or a large touchscreen monitor, you can double its use by making it the centerpiece of your home entertainment center. When you are hunting for the best price, you should investigate purchasing them at retail suppliers like Target, Lowes, Home Depot, Ikea, Menards, Sears, Walmart, Harbor Freight, Walgreens, and perhaps Costco. Acer monitors are great for simple tasks, such as accessing your e-mail, social media platforms and just generally surfing the internet or paying bills online. If these are your basic requirements, then you don't really need a high end monitor that comes with a lot of extra features. There are many lower priced monitors available in the market and you can get one that is larger than 27 inches and is affordable as well. Even average sized monitors (between 23 to 24 inches) with Full HD are more economical and affordable than high end monitors. If you are a professional who works with a lot of multimedia, such as graphic designing, photography, video production etc., then you will need a high end monitor that will be able to provide you high quality display and speed. This means that you will need to get a large monitor with at least Full HD or Quad HD resolution features so that you can have increased screen space and work with highly detailed images with ease. You also can't go wrong by getting an IPS panel, which comes with its deep blacks and accurate colors as well its wide viewing angle. If you are in the business of editing movies and videos, search for an Acer monitor with a response time of 5 milliseconds or less in order to reduce motion blur and ghosting. Ghosting refers to the faint trail left behind from images on a previous screen. When searching for a good monitor, you should also consider getting an adjustable or dual display mount so that you can adjust the monitor according to your needs and comfort while working. If you are enthusiastic about computer gaming, then you should get a high end monitor that can keep up with the high end requirements of modern computer games. It is recommended to get a monitor with at least Full HD resolution and a response time of 5 milliseconds or faster, a refresh rate of 60 Hz or more and a horizontal viewing angle of 178 degrees or more. If you enjoy dual monitor gaming, you can add a second monitor to your gaming rig for a more enhanced gaming experience. 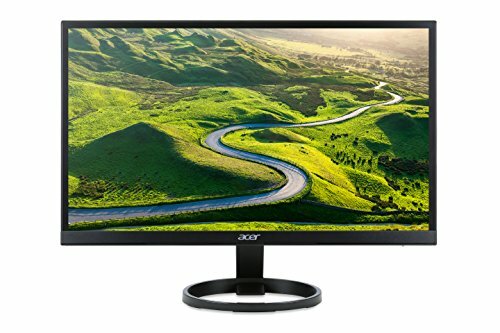 If you're looking for a new computer monitor to buy, then you can't go wrong with an Acer monitor. It is a well-established brand that has proven its quality and affordability over the recent years. Acer Inc. is the leading exporter for the country of Taiwan and is the fifth largest computer manufacturer in the world. Acer Inc. designs, manufactures, distributes and sells computer hardware and software products and ranks among the top manufacturers of peripherals like keyboards, motherboards, storage drives, monitors, CD-ROM drives, scanners etc., in the whole world. Acer has had almost 30 years of growth and progress, so they have a lot of experience developing quality electronic products. Their rise to success was primarily because of their focus on manufacturing and assembling branded and contract PCs throughout the world. Nowadays, Acer sells its electronic products through various distributors and dealers in over more than 100 countries. As the years have gone by, Mr. Shih has guided the company through a number of corporate restructuring processes and also had to deal with the financial highs and lows in the 80s and 90s. Their important restructuration in 2000 led to Acer to develop a separate and lucrative branch called the Wistron Corporation for managing all contract manufacturing business. This strategy has helped in putting Acer on growth curves in several different markets. Stan Shih retired in early 2005, when Acer was on top of its game and their sales were up all around the world. It now appears that Acer will make a bigger impression on the electronics industry in the US by designing and manufacturing high quality desktops and notebook PCs.